Welcome to the BLOG TRAIN!!! First off, you should have come from AMY to here. And, look at what you'll get if you collect all of the stops along the way! Aren't these girls talented??? And, here's my part! Some Girlfriend WordArts. Nothing like scrapping pics of the girls! Then, head on over to Faith's blog to continue with the Blog Train! Choochoo!!! AND, don't forget! Scraporchard is having a HUGE sale, to celebrate a TON of new designers joining us in the store. Click HERE to go to the store. Well, my store. You can look around if you'd like....... I guess. ROFL! So, when I got home from church, I spent a nice long time in my room, recooperating. hehehe. My house will need to be detailed today, since I neglected it ALL day yesterday :) I read some, I took a nice warm bath, I watched "Harpers Island" from Saturday night (wasn't coming in on the antenna), designed a little, Speed Scrapped. I just took it easy, and relaxed. It was a nice day. Wanna see my layout from my speed scrap? Yes? Good! 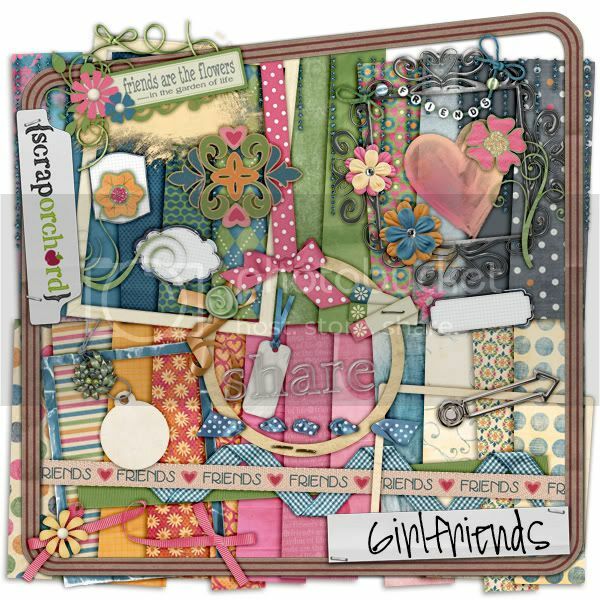 The WordArt will soon be a freebee from me (and maybe the water alpha too), and the kit is from Amanda Heimann & Ziggle Designs, called Surfer Dude. Isn't it FABULOUS??? I'm just loving it. It also comes in Hula Princess. Pretty cool! Today should be filled with some grocery shopping, maybe some "pool-ing" or "sprinkler-ing", some packing (Jacob is going on the Scouts Summer Trip Tuesday at 6:00 am - dang! ), a TON of cleaning, some playing, some organizing, some reading, and some designing. Thanks for your part! It's beautiful. Can't wait to get it all! Also, congrats on making it to SO! TY Bethany!! Creative as usual! You rock!! Thanks so much for your pretty and generous contribution to this lovely kit. And thanks for all your great WA freebie you share so generously. Your blog always gives me a smile or two or three. I enjoy reading about your "life." Thanks for sharing--love your 'about me' section, by the way. It's astounding how surprised everyone is by stats like yours! Absolutely love your Wordart girlfriend and made a card with one of them. Thanks so much for the Girlfriend word art! Thanks for the beautiful pieces to a great kit! 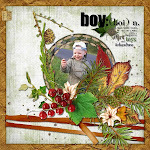 I can't tell you just how much I love your blog and your word-arts! You are so talented!!! 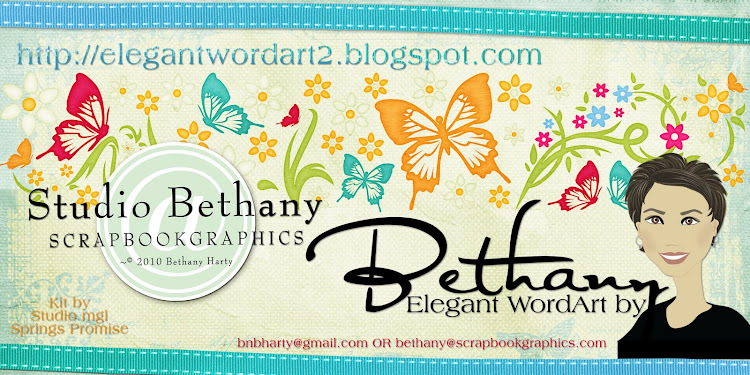 Thank you, Bethany, for your contribution to 'Girlfriends'! I just LOVE your word art!!! Thanks again!! Thanks for the word art! Off to find the caboose! Love that page of my cute Eme Pie! Thanks for your part of "Girlfriends". I love it!